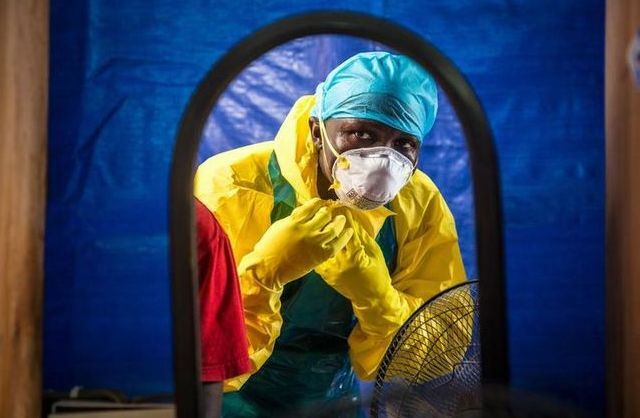 The World Health Organization says the death toll from the Ebola outbreak has risen to more than 7,500 people and the number of cases is nearing 20,000. The latest data, posted Friday, reflects recent trends with Liberia and Guinea seeing a decrease in the rate of Ebola transmissions, while Sierra Leone’s cases continue to rise. Those three West African countries account for almost all the Ebola deaths. The death toll in other countries remains the same with six deaths in Mali, eight in Nigeria, and one in the United States. Spain and Senegal have both had one case each, but no deaths. Ban recently returned from visiting the West African countries hit hardest by Ebola. He said the world must learn the lessons from this outbreak, which he said go beyond strengthening public health systems. “The international community needs better early warning and rapid response. I intend to engage member states in a serious effort to explore what more we can do to stay ahead of the next outbreak of disease — a test that is sure to come,” he said. The secretary-general said his presence at the United Nations should send an important message that people without signs of Ebola infection should not be shunned. “People who have travelled to Ebola-affected countries and have no signs of infection, are no threat. I also repeat my call to avoid travel restrictions, border closures and other counter-productive obstacles. As we fight the Ebola virus, it is equally crucial to combat the contagion of fear,” said Ban. Some material for this report came from AP, AFP and Reuters.